Which Part of the Prickly Pear is the End Point? As technology starts playing a bigger role in the workplace, the amount of endpoints at risk to attacks are increasing; many of which IT pros don’t even consider as potential risks. This presentation looks at examples of endpoints that IT pros might not realize are open to attack and will point out new methods hackers are using. Watch this presentation to help you consider additional possible points of attack throughout your entire infrastructure. 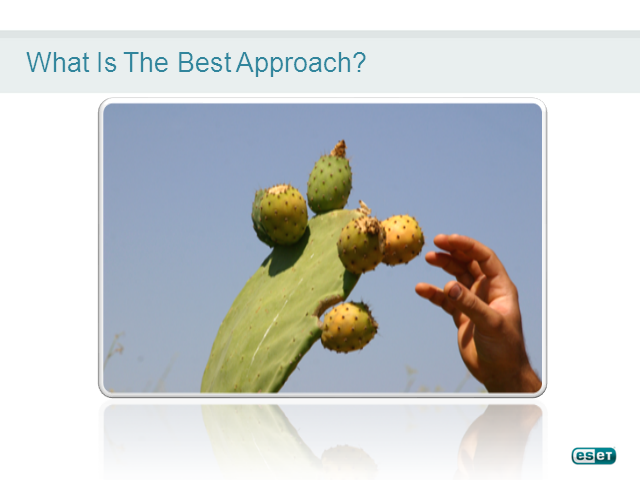 Title: Which Part of the Prickly Pear is the End Point?